Viking has announced the addition of two new itineraries and a variety of new pre- and post-cruise extensions to its river cruise offerings for 2019. Debuting in March 2019, the new 10-day Holland & Belgium itinerary will sail between Amsterdam and Antwerp, allowing guests to explore the inland waterways of the Low Countries and visit new ports of call for Viking: Rotterdam, Maastricht and Nijmegen. 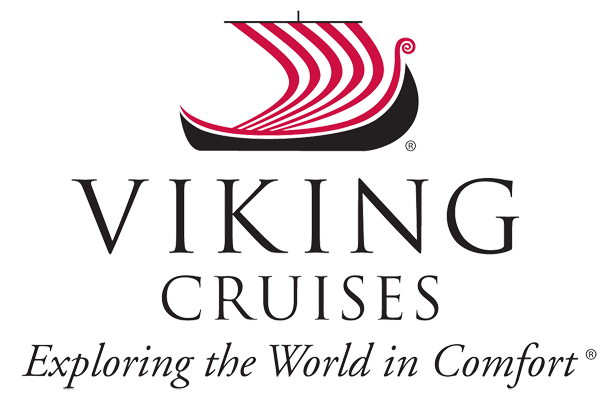 Also, in commemoration of World War II and D-Day, Viking will offer a new 11-day cruisetour, Paris & D-Day 75th Anniversary, with two special departures that coincide with the June 6, 2019 anniversary. On this historic journey, guests will travel from London to the maritime city of Portsmouth before boarding their ship in Paris and sailing through Normandy, where they will visit and honour D-Day landing sites. Timeless Istanbul (New: Pre/Post Extension for Kiev to the Black Sea itinerary) – Prior to or following the river sailing, guests can extend their experience and join Viking in Istanbul for three nights. Where East meets West, guests will visit important religious sites such as the “Blue Mosque” and legendary Hagia Sophia. Brussels (New: Pre/Post Extension for Holland & Belgium itinerary) – A perfect complement to the new itinerary, guests can explore Brussels, Belgium’s vibrant capital during this two-night extension. Discover the lively café scene, multicultural roots and hidden architectural gems of this important river city. Historic Bruges (New: Pre/Post Extension on the new Holland & Belgium itinerary) – Guests can extend their journey with a three-night experience in Bruges, one of Europe’s most well-preserved medieval cities. Guests will also enjoy exploring the surrounding area, including the architectural treasures of Ghent and the World War I battlefields of Flanders. Churchill’s Britain (New: Pre/Post Extension on various river itineraries) – Building on the success of the Oxford & Highclere Castle program – Viking’s highest-rated Pre/Post Extension that visits “The Real Downton Abbey” – the company has applied the same degree of Privileged Access to a new curated Pre/Post Extension that explores the remarkable life and times of Sir Winston Churchill, the British statesman who led Britain through its darkest hours during World War II. Guests will have the opportunity to trace Churchill’s life, from his birthplace – the English baroque Blenheim Palace – and his family home at Chartwell, to his final resting place at St. Martin’s Church in the village of Bladon. Over the course of the five-night extension, guests will also have Privileged Access to the Churchill War Rooms, the prime minister’s secret underground headquarters, as well as Bletchley Park, the Victorian estate in Buckinghamshire, where Alan Turing and a team of mathematicians and scientists worked tirelessly to break German codes during World War II. Burgundy’s Vineyards (New: Post Extension for Lyon & Provence itinerary) – During this three-night extension in France, guests can experience the grandeur of Dijon and the world-renowned wine country of Burgundy, a UNESCO World Heritage Site. Guests will enjoy the French lifestyle while visiting the Ducal Palace, the local market designed by Eiffel, and the beautiful Côte de Nuits and Côte de Beaune.